Shapes Indehiscent berry, fleshy, glossy, bluish-black, sub globose, 6–10 mm across. Lonicera japonica commonly known as Honeysuckle or Japanese Honeysuckle is a vigorous, deciduous, twining vine native to eastern Asia—northern and eastern China, Korea, Japan and Taiwan. It was introduced elsewhere and has become naturalized in Argentina, Australia, Brazil, Mexico, sub-Saharan Africa, New Zealand and much of the United States, including Hawaii, as well as a number of Pacific and Caribbean islands. Also it has become a major invasive species in North America. 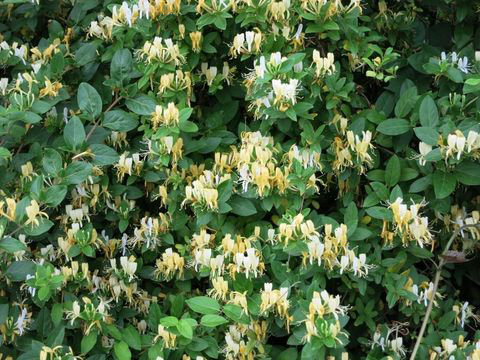 Other popular common names of the plant are Chinese honeysuckle, Japanese honeysuckle, Gold-and-silver-flower, Halls honeysuckle, honeysuckle, ribbon fern, woodbine and white honeysuckle. The plant belongs to the genus Lonicera and it is also part of the Caprifoliaceae family, which comprises around 180 species across 11 genera. About 17 of these species are considered safe for human consumption; however, further scientific investigation is needed. Genus name honors Adam Lonitzer (1528-1586), German botanist, the author of an herbal (Kreuterbuch) many times reprinted between 1557 and 1783.Specific epithet means of Japan. Honeysuckle (Japanese Honeysuckle) is a nonnative sprawling and twining, semi-deciduous to evergreen lianas found growing in mesic or wet areas, in open and shaded areas, heathland, healthy woodland, damp sclerophyll forest, wet sclerophyll forest, riparian vegetation, edges of rivers and waterways, warm temperate rainforest, wasteland, seeps, limestone glades, scrub, thickets, parks, gardens and edges of yards. Shrub forms may range 20 to 30 feet, while vines can climb from 30 to 80 feet in height. The vine prefers sand, sandy clay, loamy clays, lateritic loams, granite, calcareous soils, silty alluvium, and peat bogs and on soils derived from volcanic, sedimentary and metamorphic rock types. 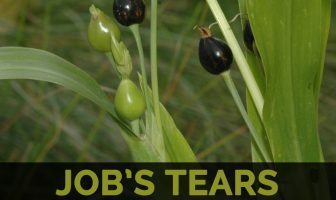 It has been reported to grow best on calcareous soils and moist forest soils, compared with excessively drained sandy soils or stony soils, where it is limited by moisture availability. It is tolerant of water-logged soils and is quite tolerant of seasonal droughts but is sensitive to frost which damages its shoots. The plant’s rooting depth is generally 6 to 12 inches (15-30 cm) on moist sites, and up to 40 inches (102 cm) on dry sites. Roots may extend laterally to 8.5 feet (2.5 meters) from the root crown. The plant has pithy stems; young stems are pubescent reddish brown to light brown often 0.4 to 2 inches (1-5 cm) in diameter, reaching 4 inches (10 cm) on older plants. Bark is corky and shredded on older stems, peeling readily. 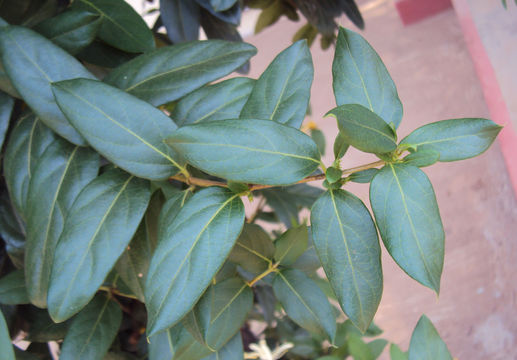 Leaves are opposite about 1 to 4.8 inches (2.5-12 cm) long by 0.6 to 2.4 inches (1.5-6.0 cm) wide on 5–13 mm long petioles, lamina ovate, elliptic, oblong or broadly lanceolate, 3–8 by 2–3 cm wide, apex acute or acuminate, base rounded or tapering, pubescent, becoming glabrate above, entire or young lower leaves sometimes lobed, glossy and deep green. Honeysuckle produces trumpet-shaped flowers arranged in pairs. Flowers can be white, pastel, yellow, orange, red and pink colored. They have strong, sweet aroma that is especially prominent during the night. Honeysuckle can bloom during the spring, summer or fall, depending on the species. Flowers are filled with nectar which attracts hummingbirds and butterflies, responsible for the pollination of this plant. Color of the flowers changes from white to yellow after successful pollination. 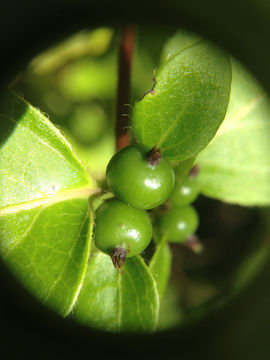 Fruit of honeysuckle is roundish or elongated sub globose, berry about 6–10 mm across. Fruit can be red, black or blue colored. Berries contain few seed. 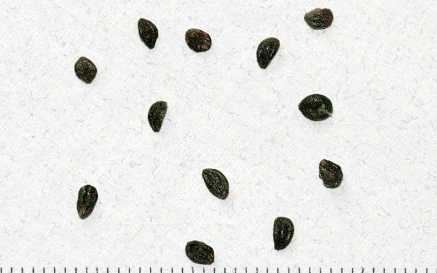 Seeds are brown, ovoid or ellipsoid, about 3 mm and are shallowly pitted. 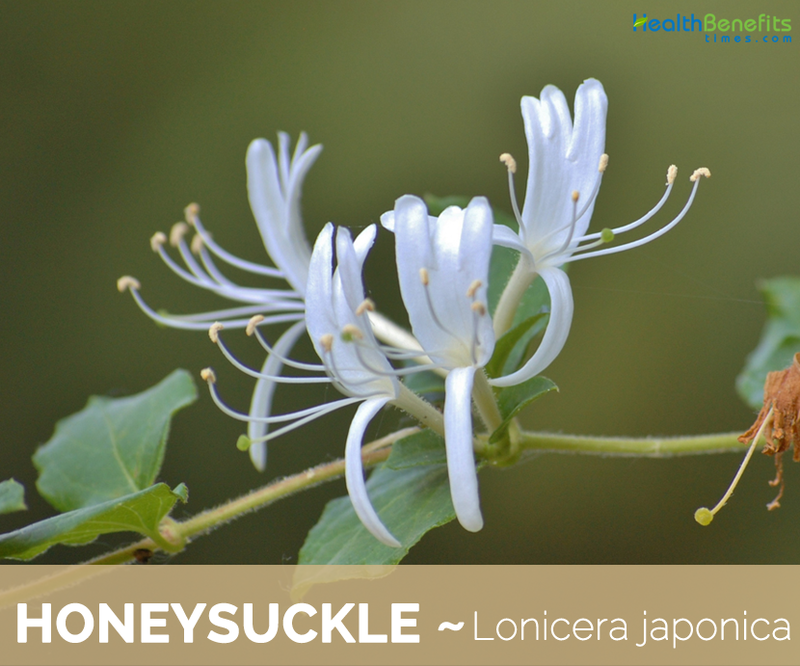 There are broadly three parts of a honeysuckle plant all of which are rich in medicinal values – the flowers, the flower buds and the stems. Honeysuckle as well as its derivatives, like honeysuckle tea and honeysuckle oil are known to have wonderful medicinal benefits and therefore, have been used in traditional Chinese Medicine for time immemorial. There are many more health benefits of this medicinal herb. This article will provide you with facts on the nutritional benefits of consuming honeysuckle. Honeysuckle consists of abundant anti-inflammatory and pain relieving properties that is very helpful in the treatment of severe headaches. If you are suffering from headache, boil one or two cups of water with two teaspoons of dried honeysuckle flowers or leaves for ten minutes and have the tea. It helps to get relief from headache naturally. It is also very effective in treating various infections of the intestine because of its anti-inflammatory properties. Honeysuckle flower buds are quite beneficial in treating various problems related with digestion. They are useful in the treatment of diarrhea or gastroenteritis that persists due to food poisoning or some other problems. Honeysuckle buds are fried slightly by stirring them continuously and then used in the treatment of diarrhea. Researchers have also shown that it is great for preventing breast cancer. Honeysuckle tea is very useful for the flu or the common cold. If you get a sore throat or a headache, add some honey to honeysuckle tea and drink it a couple of times a day and you will feel much better. Also, when you have the flu, your body temperature is high which feels really uncomfortable and honeysuckle lowers your body temperature which is a great thing! That honeysuckle property is also beneficial for hot summer days when everybody is trying to cool down. You can also try drinking honeysuckle iced tea to get the extra refreshment. Honeysuckle tea is very effectual for the patients of hepatitis C as it helps curbing down the irritating nausea and vomiting sensation. Brain swelling, also known as brain edema, high intracranial pressure or cerebral edema, can happen for many reasons like an injury or illness. It is very dangerous because it stops the brain from functioning properly and that can lead to many complications. Honeysuckle is known as a natural remedy for brain swelling, but for serious issues, it is best to contact a doctor. The worst thing about influenza is that it is highly communicable. If a person in your neighborhood has influenza, and they come in contact with articles of common use like a laptop, doorknobs or even a desk, there are high chances that the germs from them can be transferred to you. The good news is that honeysuckle is known to combat influenza effectively and keep germs at bay. Flower is also another choice to avoid early aging symptoms. Therefore, it will work best to avoid the appearance of wrinkle or fine lines. Additionally, it will result a younger appearance of face and body. Honeysuckle is supposed to be an expectorant. 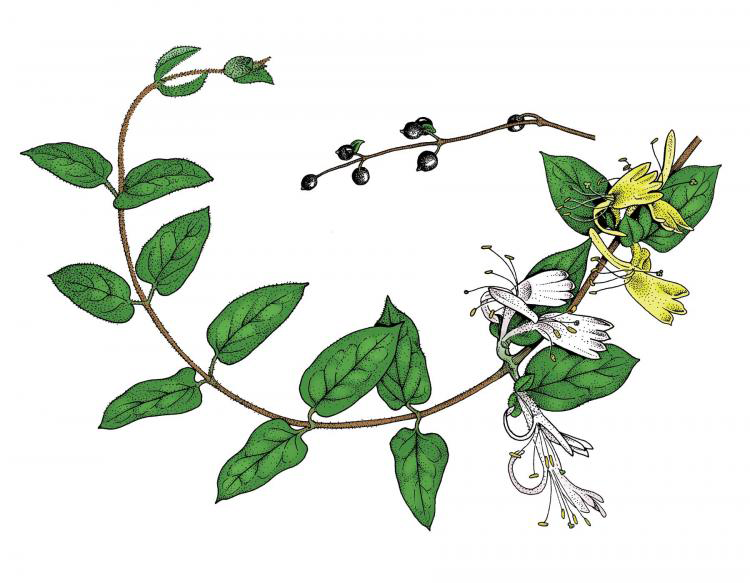 Julia Lawless, in “The Aromatherapy Garden,” writes that an infusion of European honeysuckle flowers can be drunk as a tea to treat coughs and colds. Honeysuckle can also be used to treat upper respiratory tract infections and asthma. Health Line recommends combining honeysuckle with chrysanthemum flowers to treat a cold. High and low blood sugar is very common nowadays and it’s something that most people ignore but it can become a serious health issue. High blood sugar can lead to type 2 diabetes and low blood sugar can also become a dangerous condition if left untreated. That’s why it’s very important to keep your blood sugar levels balanced and honeysuckle tea can help you with that. It balances the glucose in your body and keeps it at a healthy level. Having too much glucose or too little glucose in your body is not healthy and leads to symptoms like blurry vision, increased thirst, fatigue, mood change, hunger, headache, dizziness, sweating, rapid heartbeat and other problems. A cup of honeysuckle tea a day can protect your from that. Some believe that the flower has capability as an anti-cancer. Some people use it and hope that it can cut off the nutrition for cancer cell and encourage the growth of good cell. However, further research shall perform to confirm this benefit. This is the same benefits of soursop for cancer that believe can works as an anti-cancer too. Several parts of the honeysuckle herb are used in preparing various mouthwashes. You can keep the inner mouth well and refresh by using this herb extract. Astringent abilities of this herb are responsible for giving this soothing effect in your mouth. The anti-bacterial properties of this herb can work well to heal a sore throat and other problems. It can also be used for gargling. It becomes a real irritation when an itchy, coarse and aching throat gives you a hard time while swallowing things. Sore throat is usually followed by common cold or influenza (it can be some other disease as well). Sure, you can take a number of medicines to ease the symptoms of common cold, but nothing works better than gargles to treat a sore throat. And honeysuckle is considered a really good natural medicine to do gargle. Due to its unmatched anti-inflammatory and antiseptic properties, it is considered great for treating sun-burns and minor burns of the skin. It does wonders to relieve blemishes. You can get relief from various illnesses due to bacterial effects by consuming honeysuckle at a proper amount. It can help you to reduce the infections that are responsible for diseases like tuberculosis, strep, salmonella and more. So, taking the extract of honeysuckle herb is important to stay healthy. Digestion is an important part of our daily lives. People suffering from digestive disorders undergo a lot of physical and psychological stress. 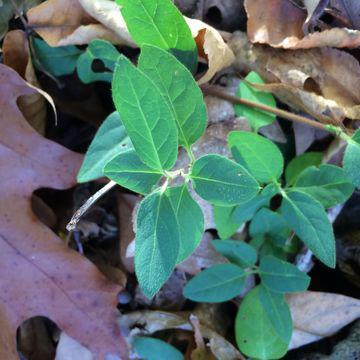 Thanks to its medicinal properties, honeysuckle can help against a number of digestive ailments which include swelling and pain in the small intestine (known as enteritis). It can also help in curing dysentery. Consume the extract can help people with insomnia symptoms. Therefore, it is good to consume before sleeping time for an optimum and improvement of a better sleep. Frequent consumption of honeysuckle herb can help you to get the clean liver. It can detoxify the inner organs of human body. 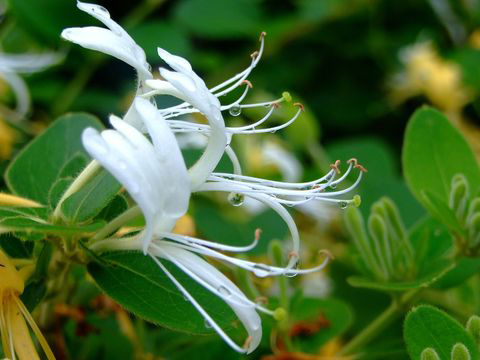 The extract of the honeysuckle herb can help you to get relief from environmental effects. The detoxification of the inner organs is necessary and it can help well by taking the extract of the honeysuckle herb. Take 1 tsp each of dried Forsythia suspense flowers, Japanese Honeysuckle flowers, lemon balm leaves. Mix them well and add all the dried herbs in one cup of water. Boil it for 10 minutes. Drink twice a day. It is quite beneficial for treating avian flu. Lonicera japonica, a widely used traditional Chinese medicine, is taken to treat the exo-pathogenic wind-heat, epidemic febrile diseases, sores, carbuncles and some infectious diseases. Honeysuckle is used in Chinese medicine to address excess heat conditions such as fevers, skin rashes and sore throat associated with inflammatory processes involving heat, redness, pain and swelling often due to external pathogenic factors such as bacteria and viruses. According to traditional Chinese medicine, honeysuckle is contraindicated for patients with medical conditions that are diagnosed as deficient and cold in nature unless combined with other herbs to balance the cold temperature property of honeysuckle. Plant is also used to reduce blood pressure. Honeysuckle dispels heat and detoxicates and is good for treating carbuncles, skin swelling, rheumatoid arthritis, hepatitis, scrofula, dysentery and hemorrhoids. Dried flower buds of Lonicera japonica is one of the most widely used traditional Chinese medicines (TCMs) and recorded in China Pharmacopoeia with the Chinese name Jin Yin Hua for the treatment of acute fever, headache, pharyngodynia, respiratory infection, pyocutaneous disease and epidemic disease. Chinese import the flowers for use medicinally for their antifebrile and astringent properties in Malaysia. An infusion of the flower buds is used in the treatment of a wide range of ailments including syphilitic skin diseases, tumors, bacterial dysentery, colds, enteritis, pain and swellings. Honeysuckle flower buds and stems are alterative, antibacterial, anti-inflammatory, antispasmodic, depurative, diuretic and febrifuge. Stems are used internally in the treatment of acute rheumatoid arthritis, mumps and hepatitis. It has been used for the treatment of a variety of inflammatory diseases, arthritis, cold and infective diseases in many countries, including Korea and China. Stems and flowers are used together as an infusion in the treatment of upper respiratory tract infections (including pneumonia) and dysentery. Flower extracts have been shown to lower blood cholesterol levels and are antibacterial, antiviral and tuberculostatic. Leaves and flowers are used in the treatment of chicken pox. Decoctions made from the Chinese honeysuckle flowers are taken in the early stages of a feverish cold characterized by headache, thirst, and sore throat. Bark has diuretic properties and taken to relieve gout, kidney stones, and liver problems. 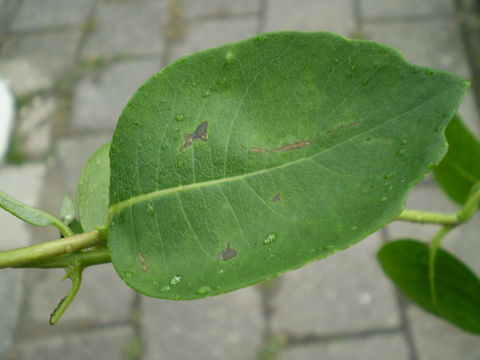 Leaves are astringent and make a good mouthwash and gargle for sore throats or canker sores. Infusions, made from the flowers along with cowslip, elecampane, or mulberry are used for coughs and mild asthma. Pliny recommended it be taken in wine for spleen disorders. Tinctures are used for diarrhea or gastroenteritis related to food poisoning. Decoctions made from the stems are especially effective if there is joint pain that accompanies influenza. Honeysuckle tea can help alleviate headaches. Honeysuckle tea can help treat nausea and vomiting. Honeysuckle tea can help make eyes brighter. Flowers are used as a vegetable or made into syrup and puddings and also sucked for the sweet nectar. Flowers buds and leaves are also made into herbal teas. 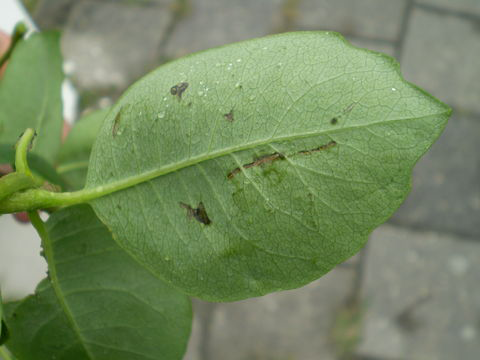 Leaves are also eaten cooked or parboiled as vegetables. Tea is made from the leaves, buds and flowers. Flower can be added to fruit salads, blended into drinks, and used as an edible decoration on cakes and desserts. 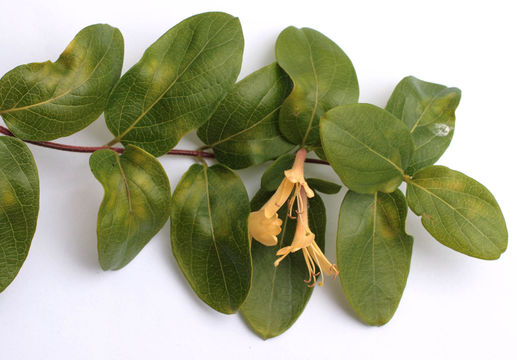 Salicylic acid, a compound similar to aspirin, is found in both the honeysuckle’s leaves and blossoms and may be supportive in treating fevers, headaches, pains and arthritis. Fragrant flowers and buds, both fresh out of the garden and dried, can be used as a tea, and when you dry your own you can be more assured of their freedom from chemical residues. Pick honeysuckle flowers early in the morning, taking fully formed blossoms that are just about to open, elongated but without the trumpet shape of the mature flower. To make a tea, pour a cup of boiling water over 1 tbsp. of dried honeysuckle flowers. Infusion: Honeysuckle tea is a popular option for those wanting to consume the plant in order to stave away colds and sore throats. The warmth and steam help to soothe and clear sinuses. Poultice: This can be made by crushing the whole plant into a pulp and applying directly to an inflamed or irritated area. It may be particularly useful in treating sore bites and stings. Tincture: This preparation can be bought, but it is also easy to make at home. 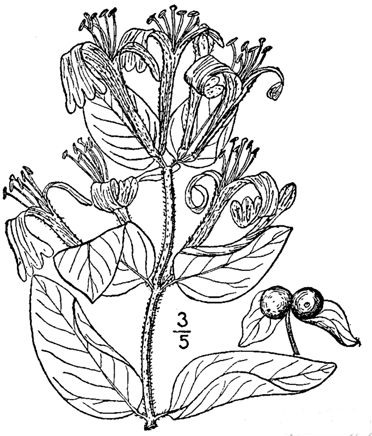 Tincture is a quick way to consume the medicinal properties of honeysuckle; a few drops can be diluted in water for drinking, or it can be used topically. Ointment: This can be applied to skin to treat irritation and inflammation. 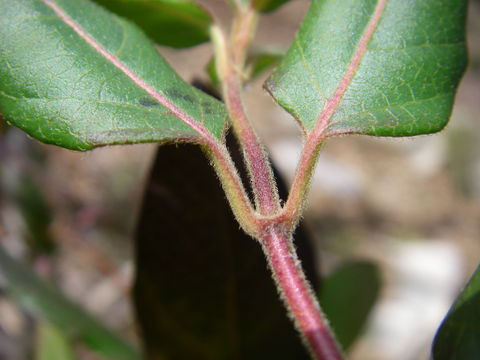 The coolant within honeysuckle should help to calm the affected area and reduce redness. Oil: Honeysuckle can be bought in the form of an essential oil. This is favored in aromatherapy, as it has a pleasant scent that is said to help people relax. Capsules: Capsules are considered to be a good option for those looking to relieve headaches or colds. They initiate a cooling effect to soothe these. A very vigorous climbing plant, it makes a good dense ornamental ground cover plant. Bark is tough and can be used for plaiting. Essential oil from the flower buds has insecticidal property and was found to be toxic to storage insects. In the United States, Japanese honeysuckle is classified as a noxious weed in Texas, Illinois and Virginia and is banned in New Hampshire. It is regarded as an environmental weed in Queensland, New South Wales, the ACT, Victoria, Tasmania, South Australia and Western Australia. It may be used as a food additive to increase productivity of broiler chickens in Korea. Honeysuckle is used to counter feelings of nostalgia and homesickness. Honeysuckle berries are not poisonous for bears, birds and other forest animals. Berries of honeysuckle were used as a source of dyes in the past. 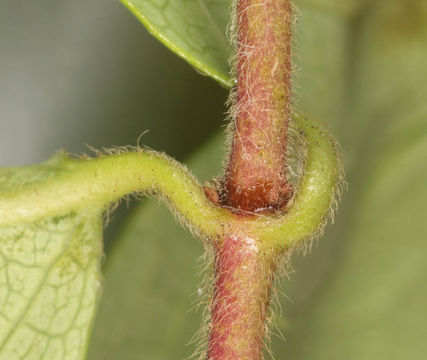 Fibrous stem of honeysuckle was used for the manufacture of textile. 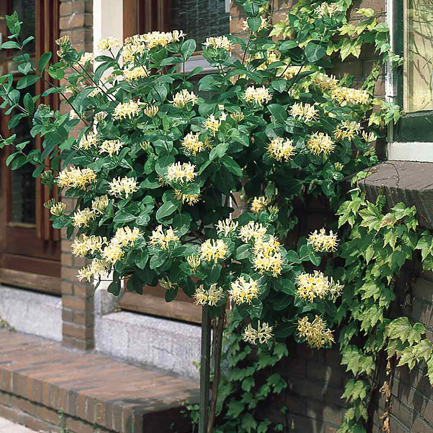 Flowers of honeysuckle can be used as toys for cats because they attract cats with their strong scent. Englishmen often planted honeysuckle in front of their houses to keep evil spirits and witches on the safe distance during Victorian Era. People used to believe that flowers of honeysuckle tucked under the pillow ensure pleasant dreams. This old belief is still popular and flowers of honeysuckle are used today in the manufacture of herbal pillows. Flowers of honeysuckle are used in the cosmetic industry for the manufacture of various beauty products and perfumes. Topical application may cause skin irritation. It should not be used by a person with Spleen deficiency. Herbs may result in allergic symptoms like redness, itchiness, swollen mouth or even nausea and sickness. Therefore, stop consuming this herb if those reactions happen in a sudden. People under medical prescription shall not consume the herbs together with their medicine. Since it can cause interfere between the medicines with the herbs. It is better to use one type of medical for an optimum result. Some people might experience upset stomach or diarrhea when consume the nectar in bigger amount. Therefore, make sure to consume in proper doze and consult with medical practitioner for the better ways to consume the herbs as the daily menu. Flower Trumpet-shaped flowers arranged in pairs. Flowers can be white, pastel, yellow, orange, red and pink colored. 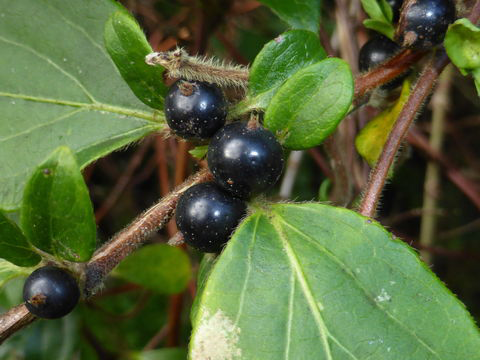 Fruit Shape & Size Indehiscent berry, fleshy, glossy, bluish-black, sub globose, 6–10 mm across.